VACUUBRAND manufactures the most comprehensive range of vacuum pumps, gauges, and controllers for rough and fine vacuum for laboratory use. 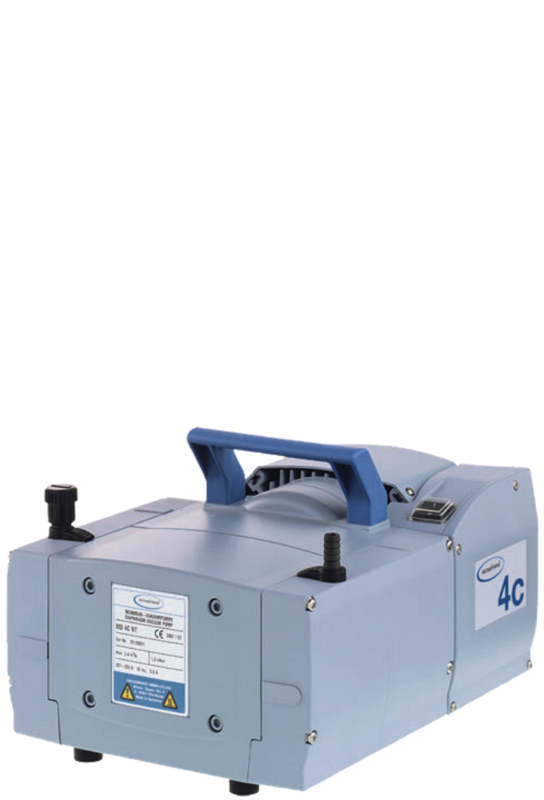 The MD 4C NT is a popular, reliable workhorse pump that provides very high flow and strong suction to ensure the fastest possible concentration. Ideal for use with rotary evaporators during cannabis extraction and sample collection. Well-suited for filtration of winterized extract. Perfect for use with vacuum ovens for decarboxylation and residual solvent removal. Automate concentration, winterization, or solvent removal processes at the touch of a button. Enhanced control improves throughput, quality, and process yield. 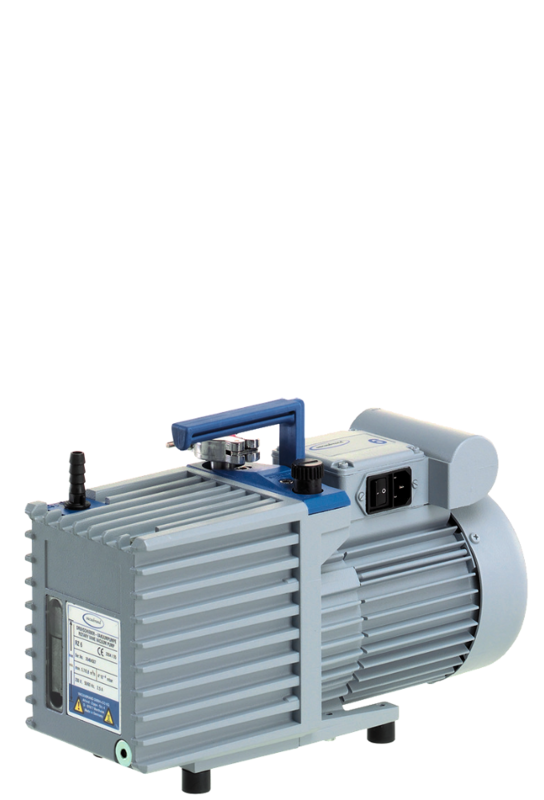 The RZ 6 model is a compact pump that provides deep vacuum and consistent results. The ideal option for short path distillation and separation of unique fractions from cannabis extract. Reliable performance for consistent process yields and superior product purity. High vapor tolerance, low maintenance, and efficient operation. 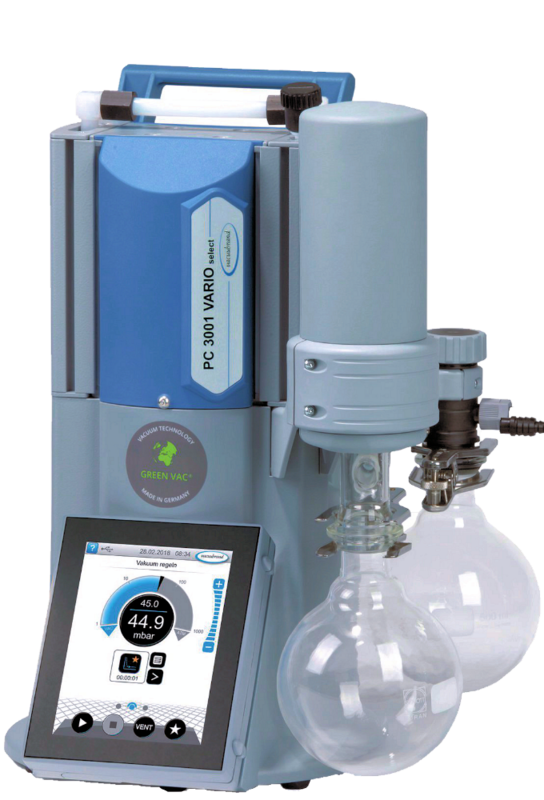 The vacuum pump makes all the difference for the professional preparation of samples with rotary evaporators. No matter the solvent or boiling point, the pump's technology has to ensure a trouble free evaporation without superheating. VACUUBRAND has a 50 year reputation as the innovative expert in vacuum solutions for science.